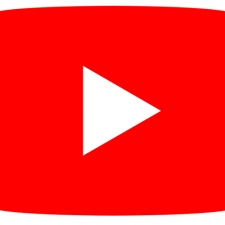 YouTube has silently dropped a new monetisation feature for some creators. A few days ago, a button began appearing next to the subscribe button on some YouTubers' pages. The 'Join' feature lets fans support their favourite channels with a monthly donation. It appears to work in the same way as a Twitch subscription. Priced at $4.99, the join button gives fans access to exclusive content and perks - such as chat emojis, member-only content, early access to new videos and merch discounts. In a world where YouTube ad revenue is ever dwindling, the join button gives YouTubers a way to earn regular income without using a third party crowdfunding solution such as Patreon. It's unclear as to how much of the cut will go to the actual creator, but YouTuber ThioJoe says in a recent video that he'll recieve a "majority". Of course, this does come with the worry that some creators may start gatekeeping their content to encourage financial support directly through YouTube. The button is only available to a handful of creators currently, but is expected to roll out to more in the coming months. YouTube tries to calm demonetisation fears: "We know the last year has not been easy for many of you"